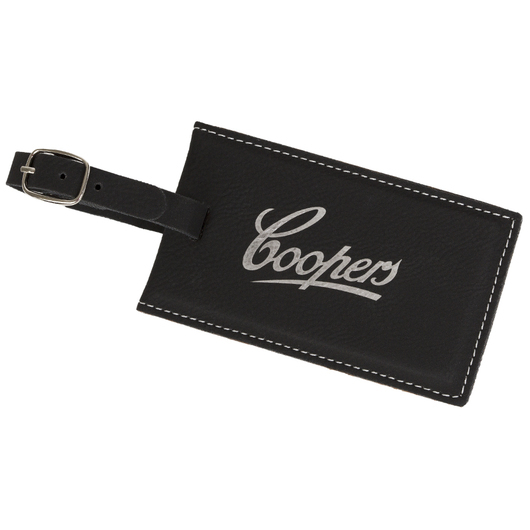 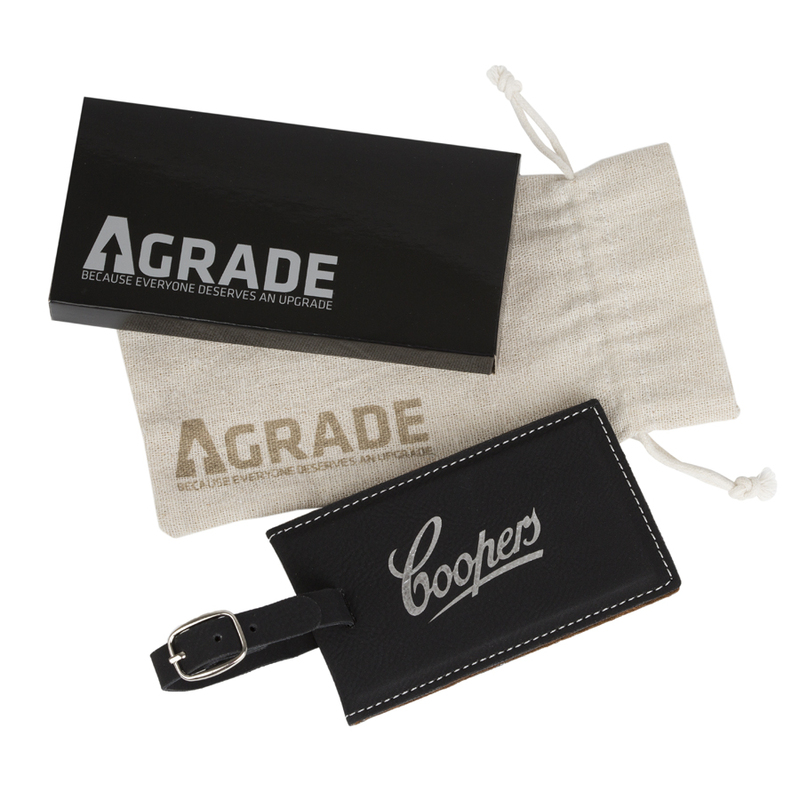 A sueded leatherette luggage tag that lets you be stylish on the go! 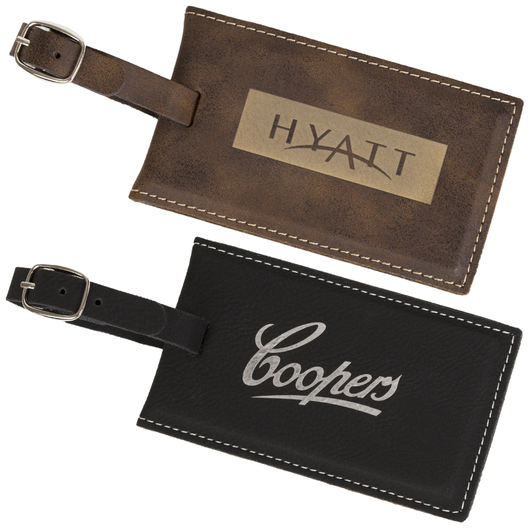 Get classy with this stylish luggage tag. Features an adjustable metal buckle strap that secures it to your luggage as well as a magnetic closure. 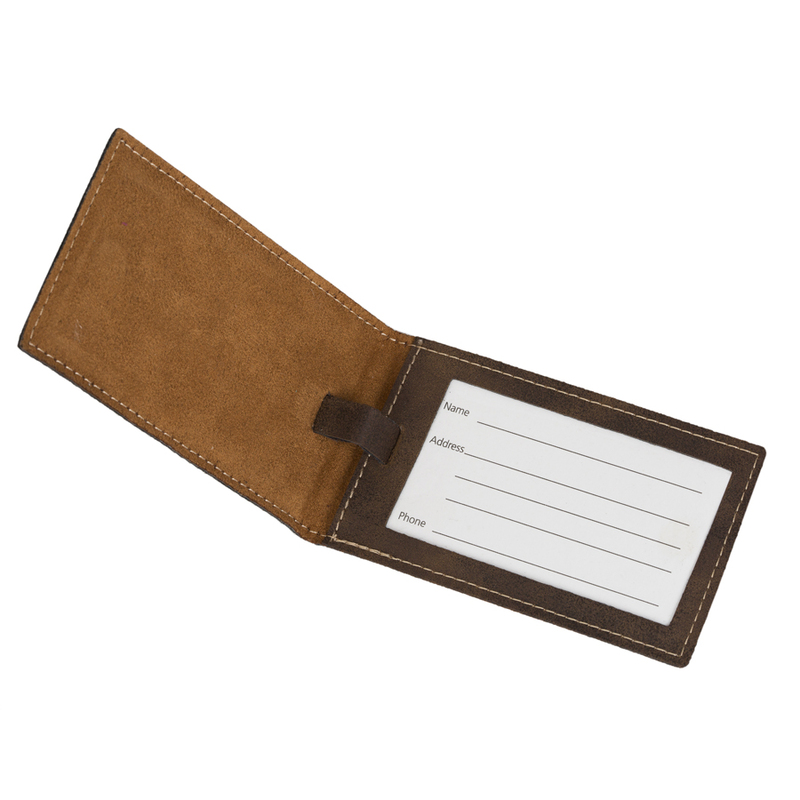 Made from sueded leatherette PU material and can be branded through laser engraving. The black version will have a metallic silver engraving, while the brown will have a metallic gold colour. 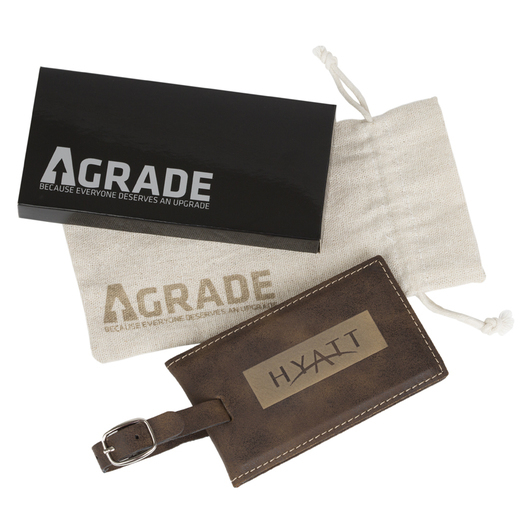 Each luggage tag is individually packed in an AGRADE muslin drawstring bag and black shiny gift box.